One trend in the new housing construction market is building smaller homes to make owning homes more affordable for more people. In light of the past housing market crash, people are now better educated about on the costs of owning their home. In addition, lenders have made numerous changes about the requirements to obtain financing. As a result, people are now looking for smaller homes they can easily afford and not worry about potentially losing the home in the future. Further, the construction of new homes has been steadily declining since the market crash, and recovery has been slower than sales of pre-existing homes. Even today, the demand for new home construction is still down compared to what it was over a decade ago, before the crash. In order to help the new home construction market segment recover, the “Tiny House” movement was born. This movement downsizes the average home size of 2,600 square feet into homes that range in size from 100 to 500 square feet. The objective of smaller homes is to provide homeowners with smaller, yet more efficient living spaces, and at the same reduce the time needed to fully own the property. Consider a 30 year traditional mortgage on a traditional home, with an average purchase price of $250,000, financed with a 20 percent down payment at the current interest rate. Over a 30 year period, without making any additional principal payments, one would pay around $500,000 to fully pay off the mortgage and own the home. Now, compare this to the costs of building a tiny home with an average construction and purchase price of $25,000-50,000. Instead of having to obtain a 30 year mortgage, most people are able to get a secured personal loan instead to help pay for the home. Unfortunately many banks will not qualify a tiny home for a traditional mortgage because they will not earn as much income on the loan. Lenders have to go through the same process and paperwork for a $25,000 mortgage loan as for a $400,000, and so they decline this type of financing. However, there are specific sites set up to help with tiny home lending. In addition to the cost savings to build and own a tiny home, another benefit driving this movement is the ability to incorporate various technologies, like solar panels and tankless water heaters, to further reduce utility expenses. Plus, the costs to maintain the property are much less. Not to mention, many new tiny homeowners were already comfortable with living in smaller spaces from years of renting an apartment. Architects, home designers, and builders need to incorporate space saving features in various areas of the home in order to maximize the available square footage. 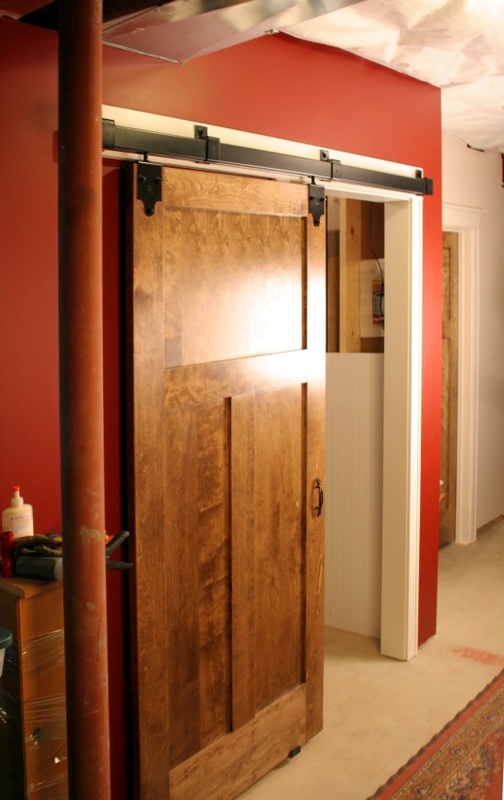 One way to do this is with the use of sliding door track systems. 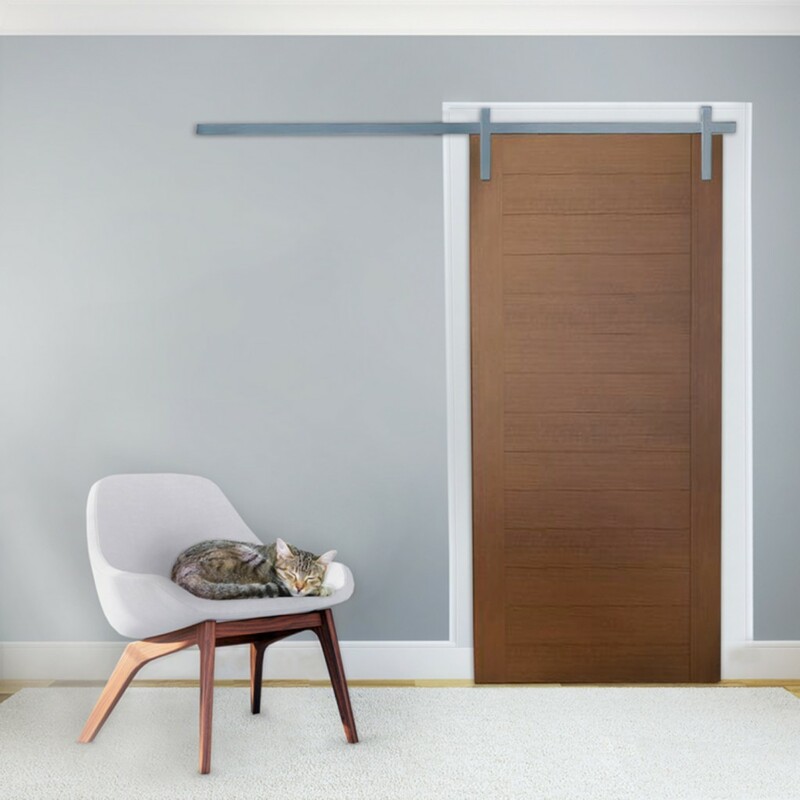 These types of doors take up significantly less space than hinged-swing type doors and allow homeowners to utilize space that is normally lost, for other purposes such as the placement of furniture. Whether you are building your own tiny home or looking for ways to maximize space inside your existing home, you can obtain sliding track hardware and accessories directly from RW Hardware. Contact us at 800-253-5668, ext 4678 today for more information.